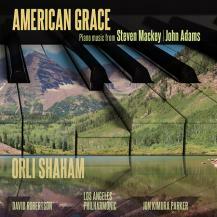 Adams works here [China Gates and the two-piano, four-hands Hallelujah Junction] have been recorded more than once before, but Shaham's interpretations of both are welcome additions to the discography. She and fellow keyboardist Jon Kimura Parker bring the kind of force and precision these intricate, passionate pieces demand. A consummate musician, masterful programmer, and dynamic presence, David Robertson has established himself as one of today’s most sought-after conductors. A passionate and compelling communicator with an extensive orchestral and operatic repertoire, he has forged close relationships with major orchestras around the world through his exhilarating music-making and stimulating ideas. Since 2005, Mr. Robertson is Music Director of the St. Louis Symphony and was Principal Guest Conductor of the BBC Symphony Orchestra from 2005-2012. Key appointments prior to 2005 included Music Director of the Ensemble Intercontemporain (1992-2000) and Music Director of the Orchestre National de Lyon (2000-2004). In January 2014 he assumed the post of Chief Conductor and Artistic Director of the Sydney Symphony Orchestra in Australia. 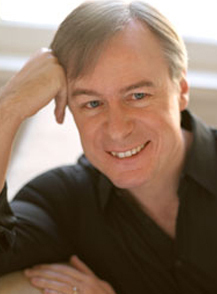 Under David Robertson’s direction, the St.
and international tours which have included acclaimed appearances at London’s BBC Proms, the Berlin and Lucerne Festivals, and Paris’ Salle Pleyel, as well as New York’s Carnegie Hall. Mr. Robertson is a frequent guest conductor with major orchestras around the world, including the Royal Concertgebouw Orchestra, the Staatskapelle Dresden, and the Berlin Philharmonic. A highly sought-after conductor in the USA, he regularly appears with the New York and Los Angeles Philharmonics, Boston, Chicago and Cincinnati Symphonies, and the Philadelphia and Cleveland Orchestras. Théâtre du Châtelet, Hamburg State Opera, Santa Fe Opera, and San Francisco Opera. David Robertson has undertaken numerous recordings for Sony Classical, Naive, EMI/Virgin Classics, Deutsche Grammophon, Erato, Nuema, Adès, Valois, Naxos, and Nonesuch, the latter including Adams’ Dr. Atomic Symphony, as well as City Noir and the Saxophone Concerto premiered in 2013. 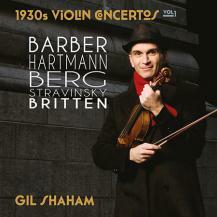 David Robertson has performed and recorded works of composer Brett Dean (Vexations and Devotions for BIS Records) and is also integrally involved, in recordings with his brother-in-law, violinist Gil Shaham, of violin concertos from the 1930s. Robertson is also the architect behind the St. Louis Symphony’s download-only series Live From Powell Hall, which has recordings of works by Adams, Scriabin, and Szymanowski amongst others. Born in Santa Monica, California, David Robertson trained at London’s Royal Academy of Music, where he studied horn and composition before turning to orchestral conducting. Mr. Robertson is the recipient of numerous awards and honors.